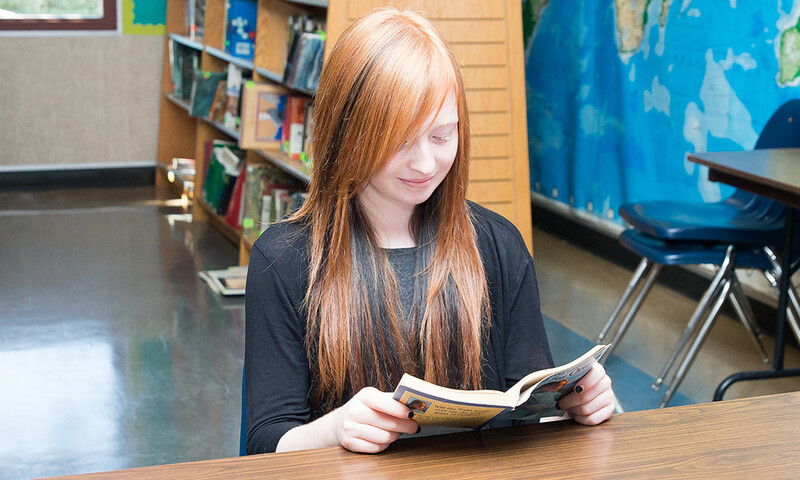 Students work their way through an extensive reading program while in the Middle School, reading books of increasing difficulty from a list of fiction, historical fiction, biographies, autobiographies and non-fiction. The books also integrate with the texts utilized in the history courses. Students will read an average of five to ten books per month, depending on length and complexity. Examples of books included are Anne of Green Gables, Little Women, Aesop’s Fables, Tom Sawyerand The Hobbit. Becoming more competent and more widely read are significant elements of the students’ daily routine. Students will cover the following material in Middle School: Introduction to Manners, The Ethics Book, Money and Exchange, and will thoroughly review theDelphi Student & Parent Handbook.